To give it a sleeker look, the 720S side air intakes are hidden in channels running along the top of the doors. McLaren Automotive added practical features to its 720S supercar in response to research that showed that many of its wealthy owners used its predecessor, the 650S, as a daily driver. For example, the mid-mounted V-8 engine was lowered to give more luggage space behind the seats. There is also more space around the driver and passenger, while visibility is improved by making the pillars slimmer. This was partly achieved by including the pillars in the construction of the core carbon-fiber tub, built by Carbo Tech in Austria. The 720S, which starts at 208,600 pounds ($293,000), is a rival for the Ferrari 488 and occupies a similar position as a defining car for McLaren. Its 720S name comes from its metric horsepower output, which is equivalent to 710 hp in non-metric counties such as Britain and the U.S. The 720S is the first time McLaren Automotive has replaced a car since the company was formed in 2010. 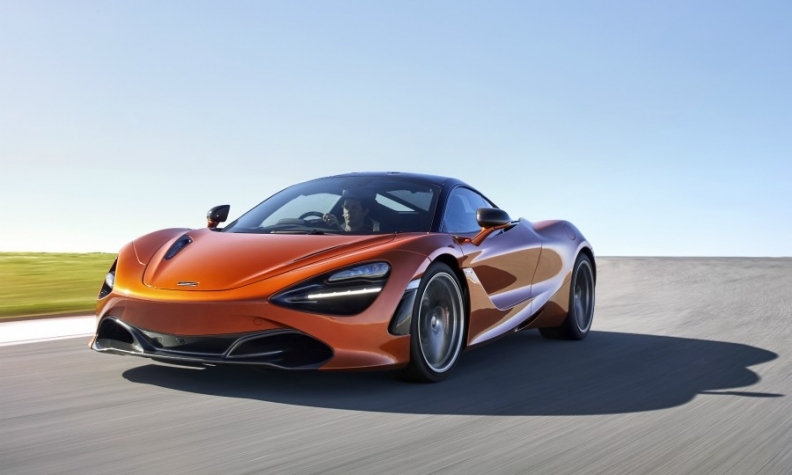 The mid-engine, rear-wheel-drive 720S uses a new design language compared with the 650S, including hiding the side air intakes in channels running along the top of the doors. The changes were partly to lure in buyers whose purchases are based on aesthetics as well as high performance, said McLaren's global head of sales Jolyon Nash. "We have been very successful in penetrating the petrolhead market, now our challenge is to broaden our appeal to those who buy for other reasons," Nash told Automotive News Europe. The Ricardo-developed twin-turbo V-8 engine used in the 720S was overhauled to increase displacement to 4.0 liters from 3.8 liters. McLaren said the engine in the 720S has 41 percent new part content compared with the 620S to increase power and responsiveness. Still missing are any camera or radar activated semi-autonomous safety features such as adaptive cruise control. "Our customers are just not asking for that," said Wayne Bruce, McLaren's global communications director. It's a reminder, however, that as an independent automaker, McLaren doesn't have the same access to this technology as rivals such as Volkswagen Group's Lamborghini. Even with its practical features, the 720S keeps its track abilities. It accelerates from 0 to 60 mph (97 kph) in 2.8 seconds and reaches a top speed 212 mph (341 kph). McLaren expects the 720S and any future variants to comprise about of third of its annual sales, with the cheaper Sports Series taking two-thirds. It expects future annual sales to be between 4,000 and 4,500, a "natural" limit for the brand, up from 3,340 in 2017. What's good: Phenomenal performance, surprising road comfort, excellent visibility, stop-and-stare looks. What's bad: No radar/camera based active safety, e.g. autonomous braking. Not a big deal on a supercar but useful when the infotainment system is so fiddly to use. Lowest CO2 emissions: 249 g/km.